All Glass and Showers – Joliet, IL. All Glass and Showers is a glass company in Joliet, IL, that offers custom design glass shower doors, precision cut mirrors, and any glass needs. Our company has been in the shower door industry for 25 years and we can work with any size glass. 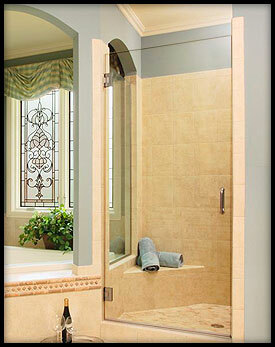 We specialize in shower doors and also do full shower enclosures. All Glass and Showers offers same day estimates with next day glass and mirror orders, and one-week lead-time on specialty glass products. We will install your new shower enclosure at your specifications and convenience. We can accommodate any size opening with any type of glass that you are looking for. When you want the best in glass products, contact us at All Glass and Showers. Whether you need a glass shower door or want a full shower enclosure, All Glass and Showers is the company for you. We carry new and replacement glass mirrors and doors. We provide customers with expert and professional services for both residential and commercial properties and our friendly glass technicians can answer any question you have. Call us today for all your glass or mirror needs! Just give our office a call at 815-727-7025 and our friendly customer service representatives will be happy to set up your free estimate appointment.